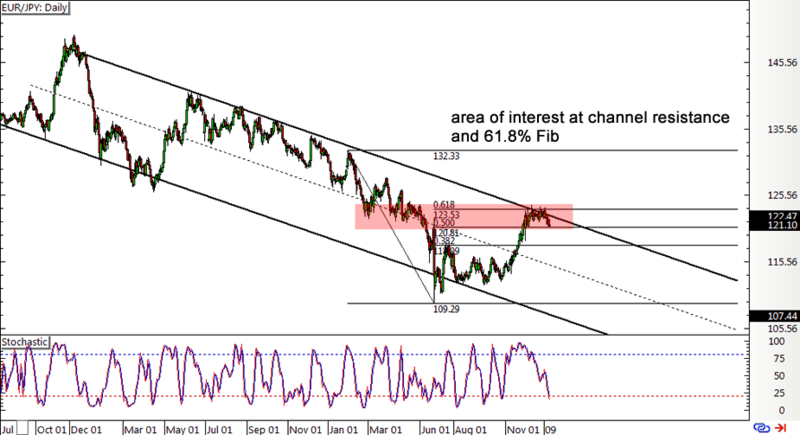 EUR/JPY looks poised to resume its long-term downtrend after price showed bearish confirmation on the 1-hour chart. Take a look at this neat setup! On the pair’s daily time frame, it can be seen that price is currently testing the descending channel resistance, which is right around an area of interest and the 61.8% Fibonacci retracement level. If this continues to keep gains in check, price could turn south to the channel support or at least until the swing low near the 109.00 mark. Zooming in to the 1-hour time frame shows that price already broke below a short-term rising channel formation, as I’ve shared with y’all in my Weekly Watch blog post. This could be an early signal that bears are taking control of EUR/JPY price action and that further losses are in the cards. Fundamentals support this view since Brexit concerns appear to be dragging the European currencies lower against their rivals. Even though most of the risks are centered on the U.K. economy, the euro zone also has a lot on the line in case a “hard Brexit” happens. Prime Minister Theresa May has a testimony scheduled today and this should provide more details on how the breakup might turn out. Meanwhile, the Japanese yen is in a good position to take advantage of these anti-euro flows since the Asian currency has a lot of ground to recover. Besides, the BOJ recently upgraded its GDP forecast, suggesting that it’s not looking to add stimulus anytime soon. Also, the yen is enjoying most of the safe-haven action these days as the U.S. dollar is on shaky footing ahead of the Donald’s inauguration. I haven’t set any actual entry orders yet since I already have a EUR/NZD short trade in place. But if PM May’s speech confirms that the U.K. government is willing to give up access to the single market, I might hop in a short position at market.